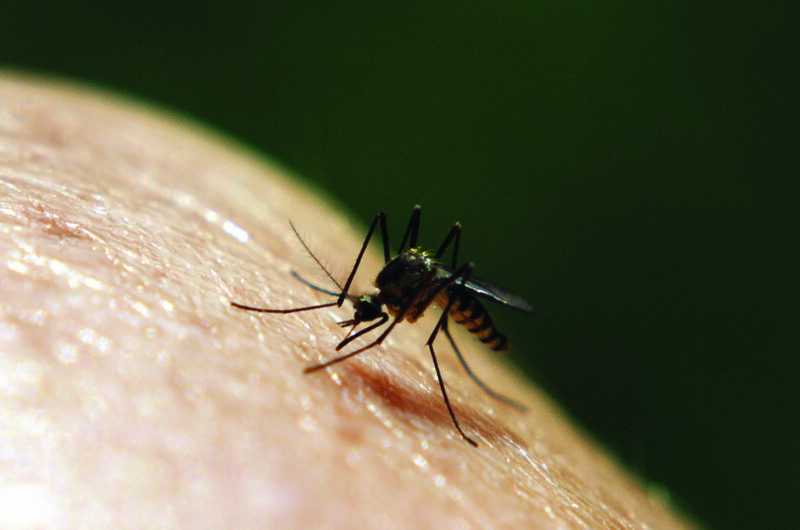 Gunter Pest & Lawn offers a mosquito treatment designed to temporarily reduce mosquito activity. Our mosquito exterminators identify and directly treat resting areas of adult mosquitoes. Your technician will treat tall grasses, trees, bushes, underneath leaves and low-lying shrubs. Additionally, your technician will make recommendations on how to eliminate potential mosquito breeding sources on your property as well as how to reduce your exposure to mosquitoes. Only females require a blood meal to produce eggs. Mosquitoes typically feed during the daylight hours when they are most active. The males do not bite and primarily feed on plant nectar. Mosquitos can overwinter in temperate climates. The females lay their eggs inside items that can hold stagnant water such as tires, flowerpots, birdbaths and clogged drains. The bite from a female mosquito can leave an itchy, red bump on the skin. But, the real threat posed by this pest is its ability to transmit numerous diseases including West Nile Virus, Dengue Fever, and Zika Virus. We also offer all of these locations at our St. Joseph, MO Pest Control location.